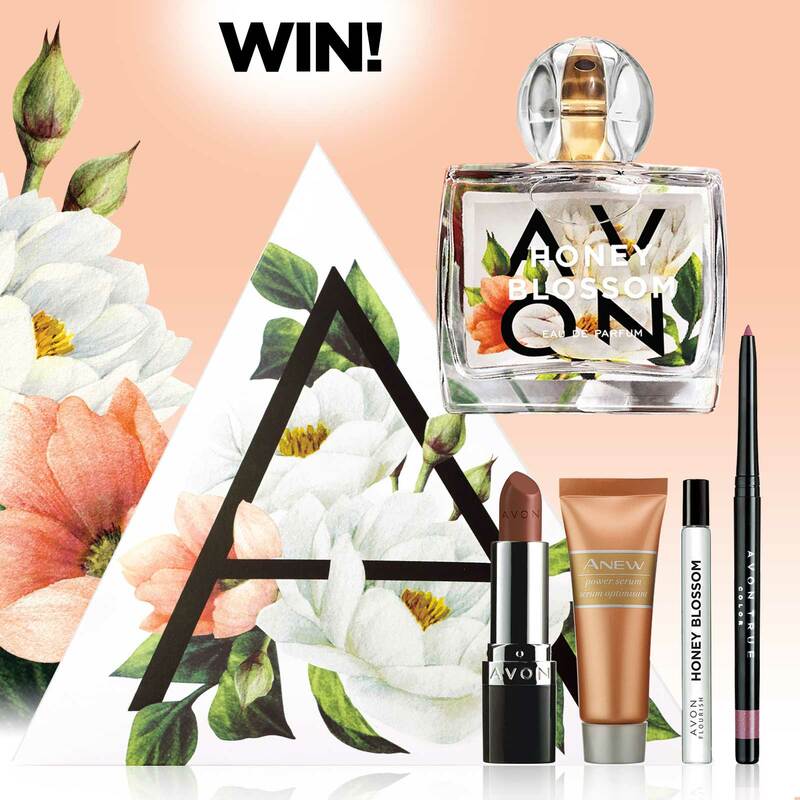 Sign Up for Avon emails and you could WIN THESE SPRING FAVOURITES! Welcome spring with these sweet blooms and beauty must-haves. See contest rules and regulations here. No purchase necessary. Contest closes May 1, 2019 at 11:59 am (EST). Open to Canadian residents over the age of majority. There is a limit of one (1) Contest Entry per person/email address throughout the Contest Period. 1 prize pack available to be won, consisting of: One (1) Avon Flourish Honey Blossom Eau de Parfum 50 ml, One (1) Spring Essentials ABox. Approximate Combined Retail Value of $69.00 CAD.